One of the most popular timeshare destinations in Europe is Spain, including the Canary Islands. Knowing this, it makes sense that a lot of timeshare legal cases happen in Spain. Here at Timeshare Advice, we are extremely knowledgeable about Spanish timeshare law. We receive many enquiries from owners with timeshare in Spain, looking for information about what their rights are. 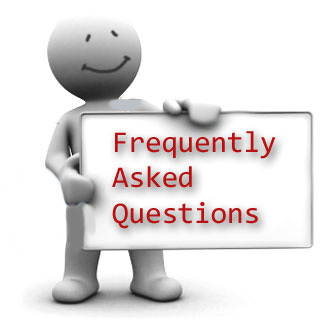 Below, we have listed the most common questions we receive regarding Spanish timeshare law. 1. As a timeshare owner, would we have to go to court? More often than not the timeshare owner doesn’t have to attend court themselves. All the major decisions surrounding timeshare law are made in the Supreme Court. Once the Spanish Supreme Court makes a ruling, that is the legal precedent that will then get passed down to all the lower courts. This means that cases can then be settled quite easily. If a timeshare contract is deemed illegal it can then be nullified and made void, the timeshare company will then be made to refund any ill-gotten payments made by the claimant. If a contract is found to contain any illegal clauses, a court doesn’t need to look at it for the law to be applied. You may need to go to court if the reasons for your case have not been heard in a court before and in those circumstances it will have to be referred to the Supreme Court. Cases that are heard in the Supreme Court are generally bigger legal battles and a win is not always guaranteed. As time has gone on the Spanish Supreme Court has ruled on so many cases regarding timeshare law, there is a high likelihood that you won’t have to go to court. 2. Is my timeshare contract illegal and if so, what does this mean? The Spanish Supreme Court have also been looking at contracts that contain terms such as ‘ownership’ and ‘property’. If they then deem these terms to be illegal it could lead to many more people being entitled to make a case against the timeshare company. Many timeshare owners are able to achieve timeshare release and compensation as a result of the Spanish Supreme Court rulings. If it is found that your timeshare contract contains an illegal clause you could be entitled to have your contract nullified and you may even be eligible for compensation. When the illegality is due to payments made during the cooling off period, you could be entitled to double the amount you paid. If your contract contains either a floating weeks clause or perpetuity clause, the contract is likely to be deemed null and void, this means that the contract technically didn’t exist. In these cases the timeshare company are likely to be made to pay back all the money you have paid over to them. Miss-selling or misrepresentation is another reason to be able to exit and potentially receive compensation as per Spanish timeshare law. This can be difficult to prove and can only be looked at on a case by case basis. 3. Do I have to use a Spanish lawyer? Simply put, no you don’t have to. You may choose to use a Spanish lawyer but there are potential risks with doing so. There have been reports of fraudulent legal firms in Spain who have taken money from timeshare owners and then disappeared without a trace. They could possibly be issues with the language. We always strongly recommend that you never try to do this alone, so we suggest that you look for someone who is experienced with timeshare law as they will be fully up to date with all aspects of timeshare law. Just by looking through your contract they will be able to advise you on the best way to proceed with your case. It always help for you to find someone who speaks your language so that you understand everything that is going on as it happens. We can help you with this. 4. What can be done if I signed my contract before 1999? If your timeshare contract was signed before 1999 it can be more difficult as before then timeshare was covered by consumer laws. Being more difficult doesn’t mean that it is impossible. There may be loopholes that your chosen timeshare expert may be able to use. 5. Can the timeshare company refuse to comply? Judgments made by the Spanish Supreme Court are final. This means in any cases like the ones mentioned above, timeshare companies have to accept the ruling and do as the court states. The timeshare companies have no right to appeal. If the court orders the timeshare company to repay money to a claimant and they refuse, the court will freeze the companies assets until the money is recovered. 6. How do I start the process? All you have to do is give Timeshare Advice a call on 0800 072 4683 to talk to one of our expert advisers. We are here to answer any questions you may have and if you have a case and want to start the process, we will be able to get the ball rolling straight away. See our recent post regarding inheriting a timeshare.